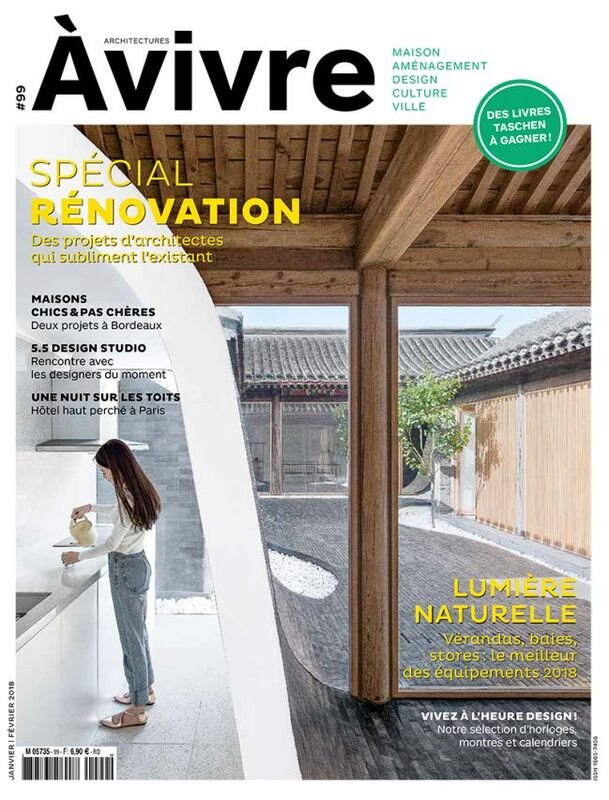 France’s number one architectural review by circulation, Architecture À Vivre has covered contemporary homes, private houses, design and the world of architecture for the last 20 years. The ‘Architect’s house’ reports present an overall project : plans, materials, products and fittings used in the construction and interior and exterior fit-outs. The ‘products’ pages selection introduces new releases and inspires readers in their choice of installation : heating, kitchens, bathrooms, wall coverings, furniture ... The latest in the world of architecture, design and portraits of architects complete the editorial content.